Welcome to the Twin Cities Collective Circle! Scroll down to learn more about our community membership program that features discounts, exclusive events & meetups as well as online directory access & accountability partners! Now we are ready to uplevel TCC by launching the #tcccircle by offering more, smaller groups to make FRIENDS, gain more RESOURCES, gain VISIBILITY in the local community & more! Why Join the TCC Circle? You are ready to take the next step in your business, blog or brand. Not to mention new business besties! In the past, we did a round of accountability partner matchups. We are completely changing it this time around, as we found that when people are 1. invested, both time & financially & 2. followed up with by TCC, they tend to follow through with the program. Currently we will only be adding/updating new TCC Circle members to the directory. Current Directory Members who signed up in the past are grandfathered into the directory, but in order to update, upgrade to premium or add additional info will need to become tcc circle members. This will be updated on a monthly basis. We may also have other events that will be free for tcc circle members but open to paying non-tcccircle members. Each month, Jenna will design and send out 5 free styled stock photos to TCC members. These can be used on instagram & on your website. These can be accessed in the FB group each month. We will also build a resource library inside the fb group. In our FB group (members only!) we will have additional prompts like the regular FB group plus exclusive livestreams & hot seats, where we interview and do Q&As with me and with other guest experts every month! With our monthly events, & online courses, you as a TCC circle member will get 25% off. Workshops you can get up to %75 off!! Join the TCC Circle Today! Who is the TCC Circle For? 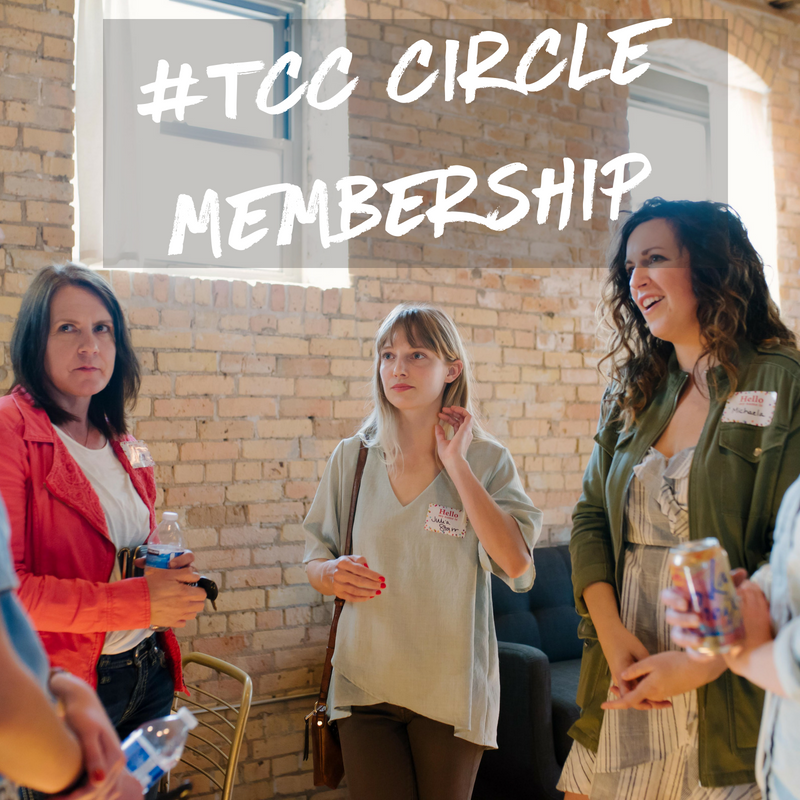 Join the TCC circle for exclusive parties, ACCountability Partners & more. Open to all ladies & gentlemen 18 or older! Q1. Can I cancel my membership if it doesn't work for me? Q2. How do I get added to the directory or change my directory listing? Q3. Will anything be changing in the main TCC group? Q4. How do I login? Join the #TCC Circle today!